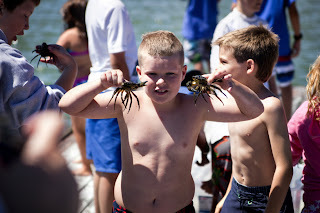 A new group of campers arrived at Camp Harbor View today, and boy were they in for a treat! 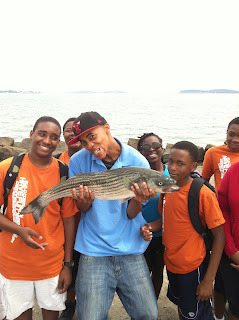 It was an easy pitch to convince the kids to sign up for fishing club when we were able to show off a 36" striped bass. Bruce caught the beast over the weekend right between Spectacle and Long Islands. 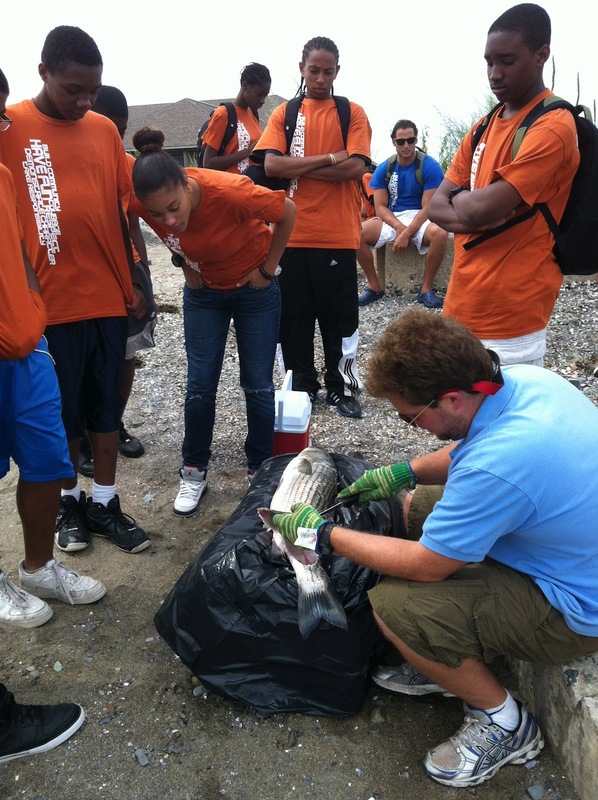 It was a beauty of a fish, and everyone from campers to counselors alike enjoyed holding the fish, filleting it, eating it, and even performing some amateur dissection. 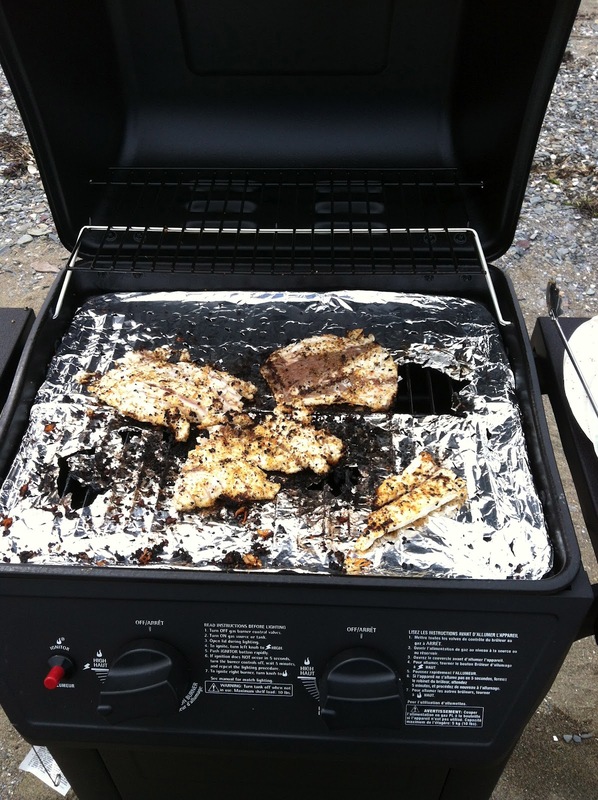 We pulled out all the stops today, busting out the grill for the first time, and after borrowing some spices from the kitchen, the savory smells of fresh fish soon spread all over camp, bringing curious folks from all over to Shell Beach. We're looking forward to an eventful (and hopefully dry) fishing derby on Thursday with our new fishing club. Stay tuned for more on that! Piers Park today was full of interesting events! At Piers Park Sailing Center the boys and girls were already curious as to what I had in such a large box labeled "Fresh Perishable Seafood". Of course, I kept my mouth sealed because I knew Ali had an intuitive lesson planned for the children. We all gathered up the children and asked each of them what they thought was inside. Some children guessed lobster, others guessed crabs. Despite the fact that we had to give them some hints, a small 6 year old child named John guessed correctly. it was a striped bass! All of the present children had a chance to hold the immense fish in their very own miniature hands. Ali also dropped some knowledge about how if you rub your finger on a fish's body, your finger would just slide across. On the other hand, Ali said that if you slide your finger the opposite way, your finger would encounter a certain roughness caused by the fish's scales. Courageous Sailing Center was not to be outdone by Piers Park. Today at Courageous Sailing Center some kids and I manhandled some lobster traps onto the dock. Alas, there weren't any lobsters in them, but there were a good amount of crabs skittering around. Inside our floating crate some children and I watched an astonishing event unfold. A female crab actually tore a claw off of another female crab! The children were shocked. Even with my best efforts I was unsuccessful in retrieving that claw. The crab was holding the claw so firmly that the ripped claw had a sizable crack in it! Personally, in my one and a half summers with the organization, I have never seen this occur. Today might just be the most captivating day of the entire summer! I have to say its been pretty amazing these last couple of weeks, the kids have been so fun to be around. The amount of crabs the kids catch on their own is crazy. They can tell you anything you want to know about a green crab. We also have been catching a lot of lobsters everyday. The lobsters we usually catch are around 5-10 pounds and we've been catching 5 or 6 at a time. Everyday when we get to Mcdonough the kids go crazy asking if they can pull the lobster trap up with us. They're always excited to see how many we caught and how big they are. I hope to keep getting good catches and I'm looking forward to enjoying the rest of my summer. Today was an extremely exciting day at Blacks Creek. Along with catching the usual: perwinkle, hermit crabs, and green crabs... my partner, Noah, spotted a Horseshoe Crab! 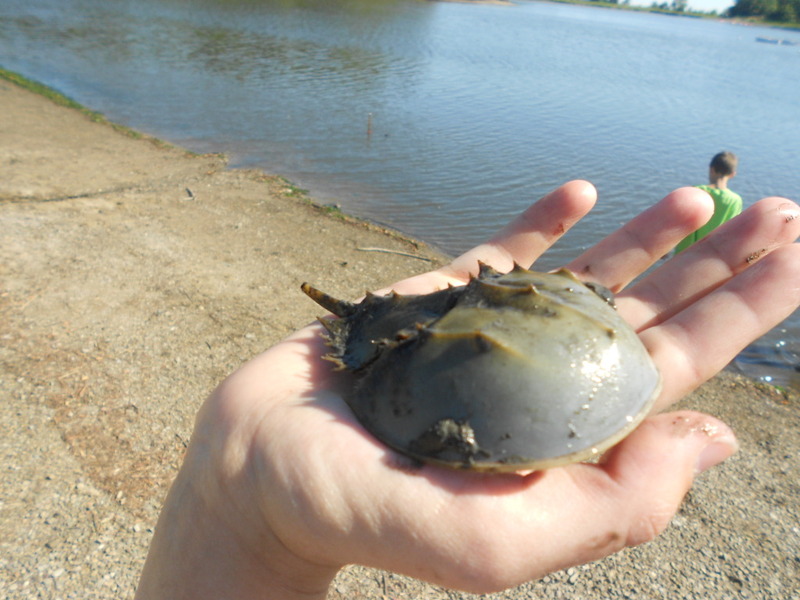 This summer we have only been teased with the sights of decaying horseshoe crabs' shells, but today was the real deal. The kids were so excited to see, touch, and hold such an unique creature. I'm proud of ya buddy! 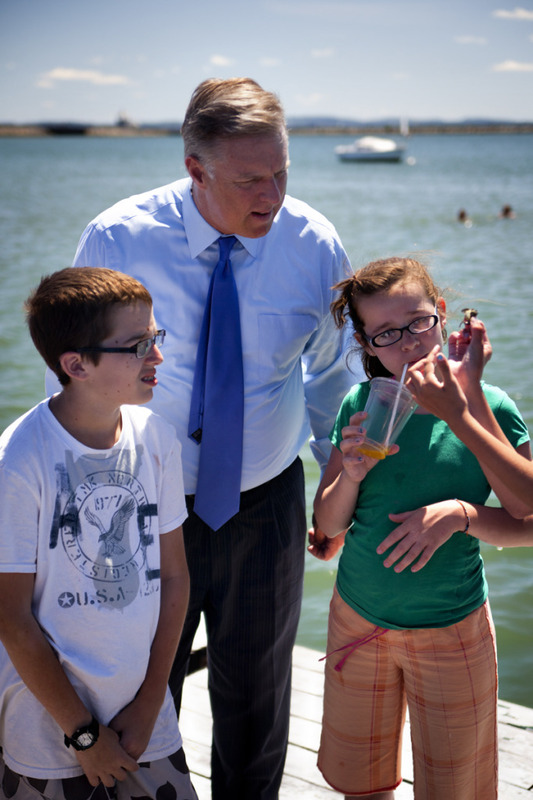 Last Thursday night I met several kids who have not held nor seen a live crab or lobster. This, of course, makes my job all the more interesting. The kids were so wowed and intrigued by the way a lobster's slippers flapped as it begged to return to the sea water. 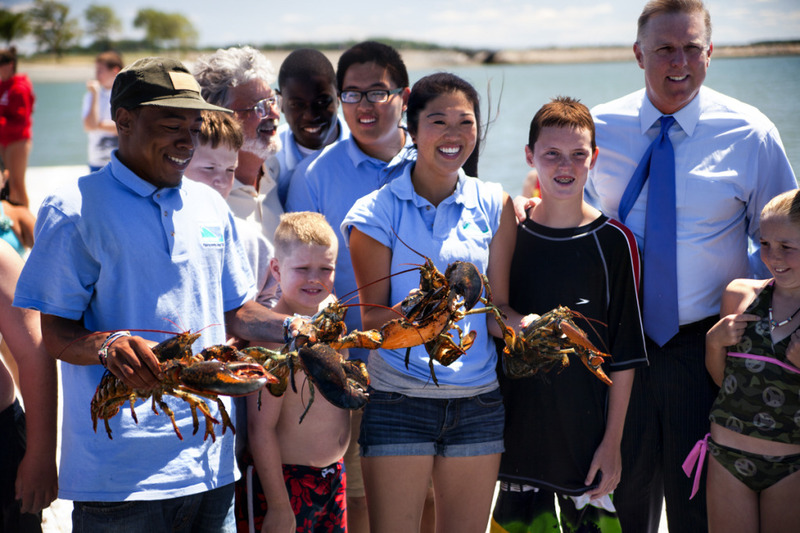 I was able to get each and everyone of the visitors to touch and hold the lobster and crab! 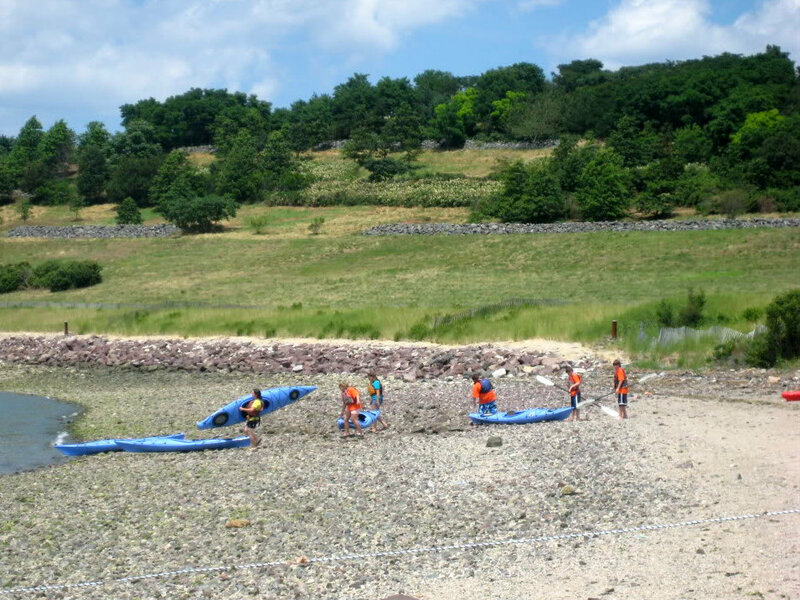 And to make the experience a classic, we had to end in a crab race! I really enjoyed my time with you guys! I am Karrisha Gillespie and this summer marks my second year at Save the Harbor Save the Bay! I am currentley a sophmore at the Kents Hill School, and I feel extremely fortunate to be spending my summer with the SHSB staff! 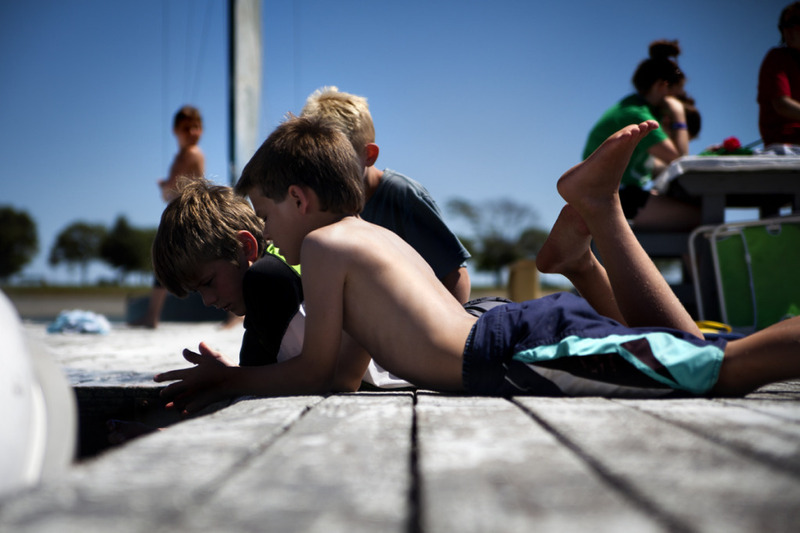 I mean what's a better way to spend your summer than visiting several of your OWN islands, fishing, catching lobsters and crabs, all with younger kids in the Boston area? I guess things really do not seem like work when you truly love something! This summer I hope to build much stronger relationships with my co-workers that go beyond just work! I also hope to develop my blogging skills, so maybe you guys can give me some honest, but generous criticism! This week has definitely started off on the right foot. Not that going on Camp Harbor View's Sling Shot (which totally put my body through a quick but exciting adrenaline rush) was not fun enough...BUTTTT, today my team and I got the chance to take the campers, at Camp Harbor View, on a tour around THEIR harbor! Neat right? 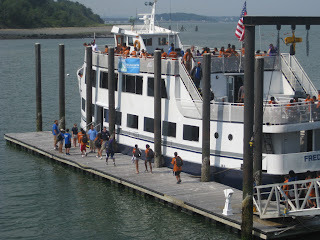 Giving the campers a history lesson on the Boston Harbor was not the most fulfilling experience during the tour, but actually bringing kids who were scared about their first time stepping foot on a boat to a place they had never been to, and assuring them that the beautiful harbor we were on belongs to them was! The, "Thank you...I can't wait to come back"
All reassured me that the work we do here at Save the Harbor Save the Bay does not go unappreciated. Hello everybody! 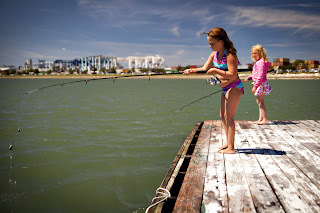 Today at McDonough was a gorgeous day for the kids to participate in a series of fun activities such as: crabbing, fishing, swimming etc... And so my friend Jake insisted that we go check the lobster trap while the others were on the dock having a blast. For the first time, Jake got to go on the motor boat to the lobster traps along with a few people from Save the Harbor/ Save the Bay staff. He was so excited, he even got a chance to help us pull the lobster trap up. As our usual catch we had some lobsters. (4 to be exact) and as we were putting the trap into the water Jake noticed an unusual looking creature in the bottom of the trap "it's an octopus, it's a jelly fish, IIIT'S THE AMAZING SPIDER CRAB!!!" Jake decided that he wanted to go back with it and amaze his buddy's back at the dock. 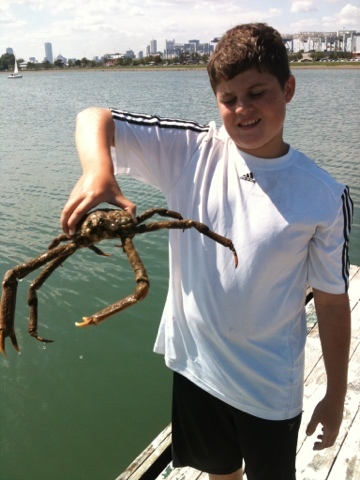 Jake got to throw the crab back in the water and that's how we ended our day. Keep the energy flowing guy!!! This past Wednesday, Ana, Anthony, Brianna, and I headed out to Thompson Island to seed clam beds. 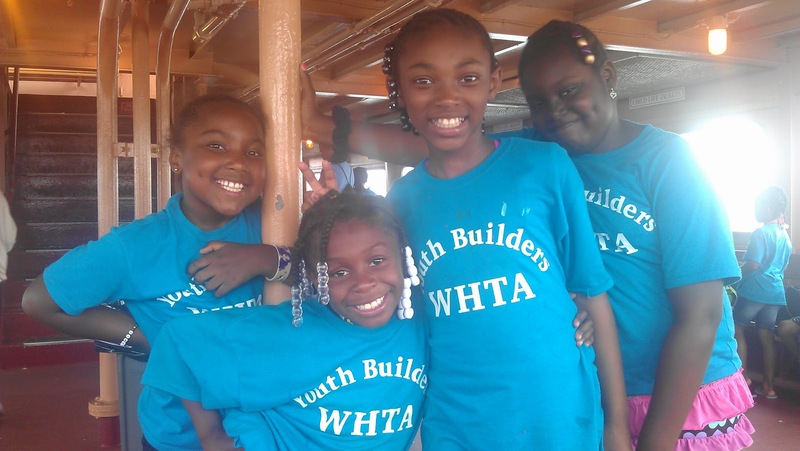 Now, the last time I wrote, I talked about all the things I was doing for the first time this summer, even though it's my third summer with our youth programs. 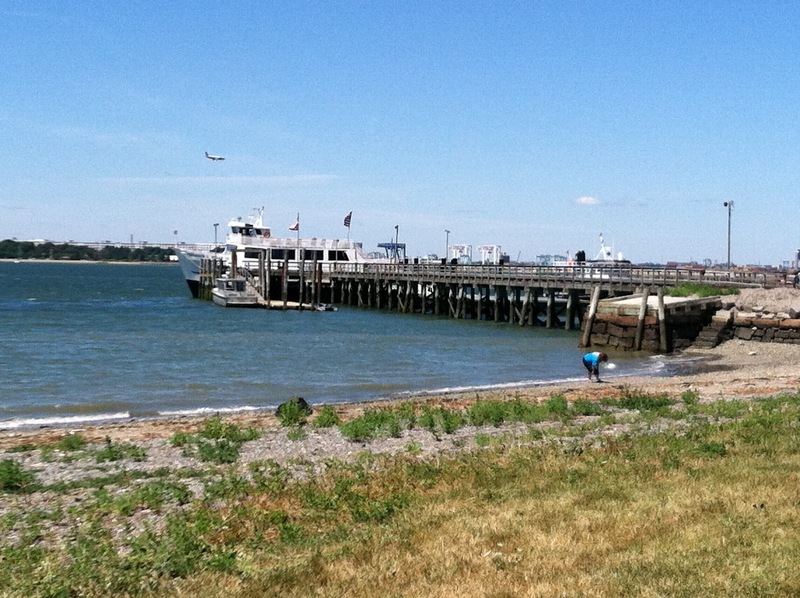 Well, our day out on Thompson Island definitely added to the list! 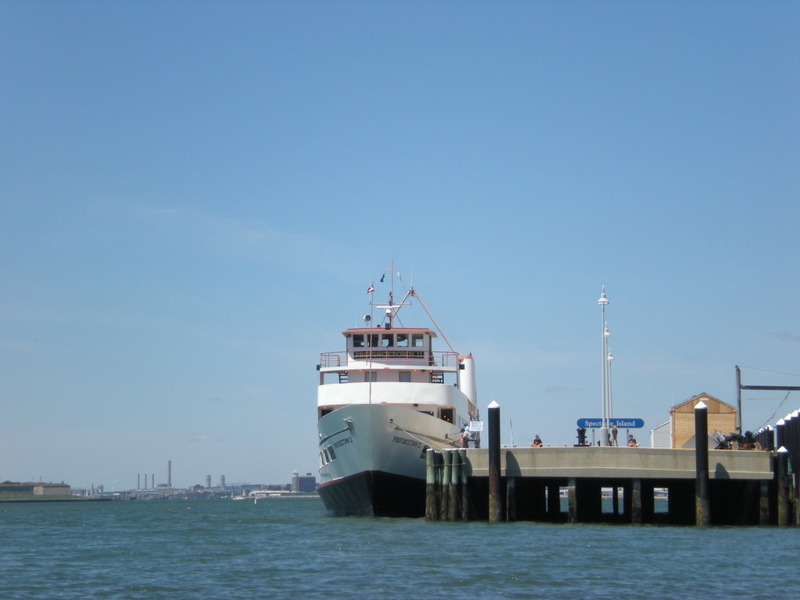 First and foremost, I'd NEVER been out to Thompson Island, so I was really excited to see what the island had to offer. Each island out in Boston Harbor has it's own identity, whether its the spooky tunnels of Georges or the gorgeous beach glass of Spectacle or the menacing and ominous cone-shaped marking atop Nix's Mate. I've been so fascinated to learn about each one in my time here at Save the Harbor. 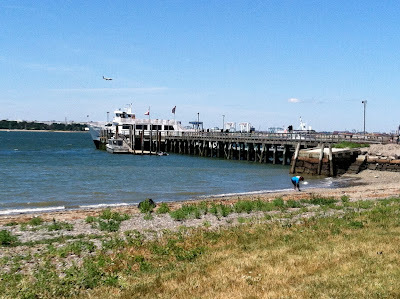 Thompson Island is additionally fascinating because it isn't typically publicly accessible, so we were granted a behind-the-scenes look at the many uses and beautiful resources of the island! Home to a former trade school, a current youth development camp, organic gardens, native american historic preservation efforts, and an effort to rebuild the Harbor's clam population, it was great! 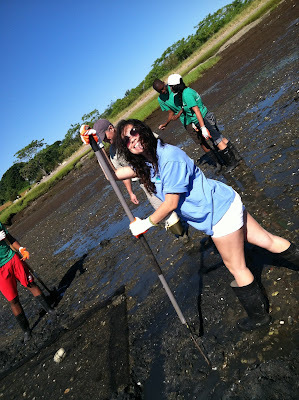 Step 1: We laid down a net on the muddy beach to mark our clam bed area. 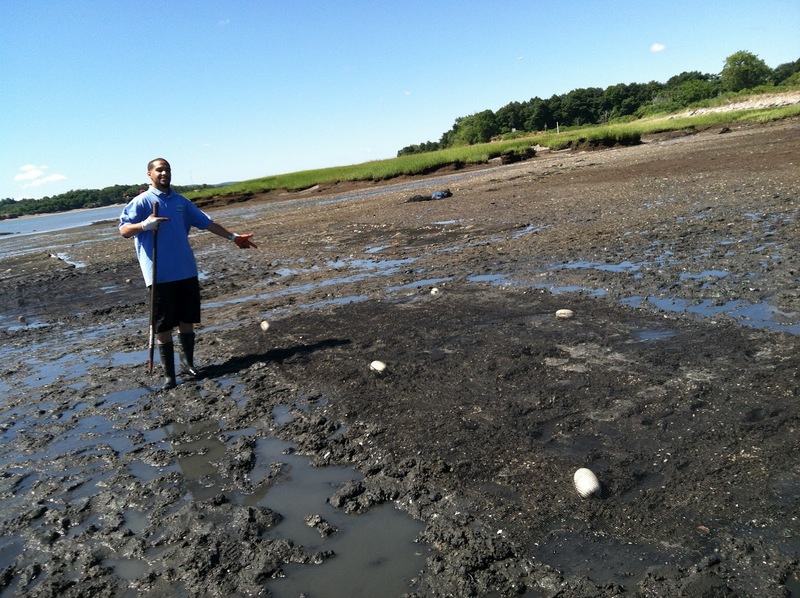 Baby clams would soon make the area their home! Step 2: We dug a deep trench around the net. Here's Ana, showing us how! Step 3: We removed the net and raked the top layer of sand and mud. We wanted to disturb any green crabs-- which are natural predators of clams-- in the area and capture them. 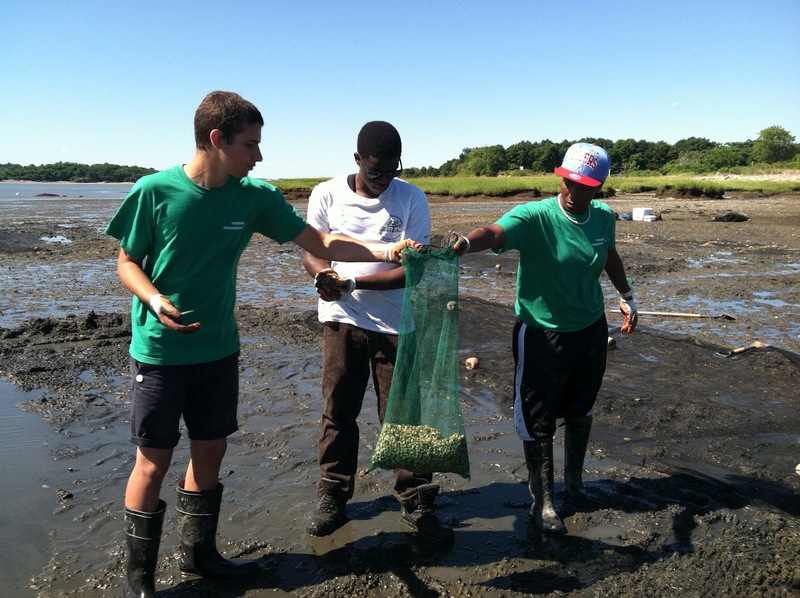 Step 4: Once as many green crabs as possible were eradicated from the plot, we scattered some young clams! We put about 6,000 in each plot. Step 5: We replaced the net. We filled mud back into the trenches, securing the edges of the netting. We wanted to make sure the net was secured so that it would stay put at high tide when it was entirely submerged. 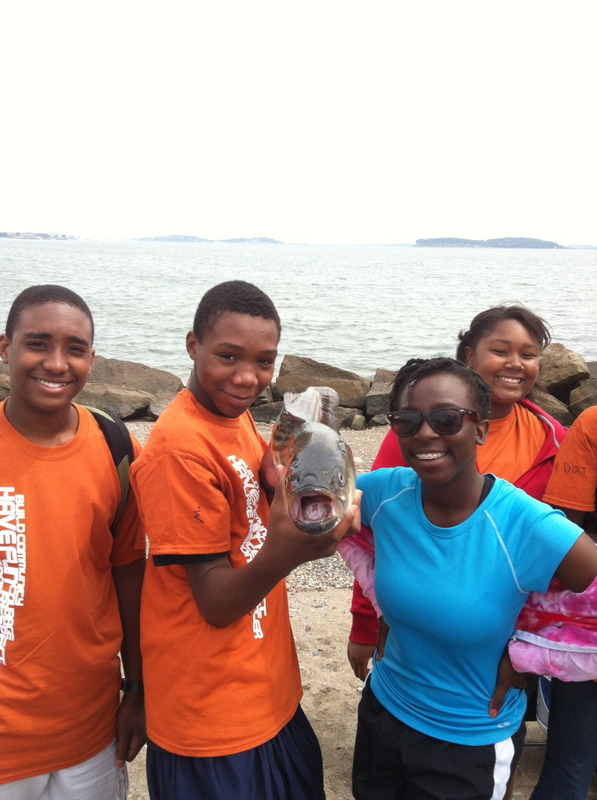 Our team did a great job, and I really liked meeting the high school Thompson Island Green Ambassadors on my team! Here's Anthony with the finished product! My favorite part of the entire experience was getting to work literally alongside so many other great organizations that are serving youth on Boston Harbor. The day before, I had been given the opportunity to attend a Boston Harbor Island Alliance meeting and briefly present to the board and several other community organizations about how Save the Harbor's summer programs with be connecting 7,000 kids and teens to the Harbor Islands this summer. 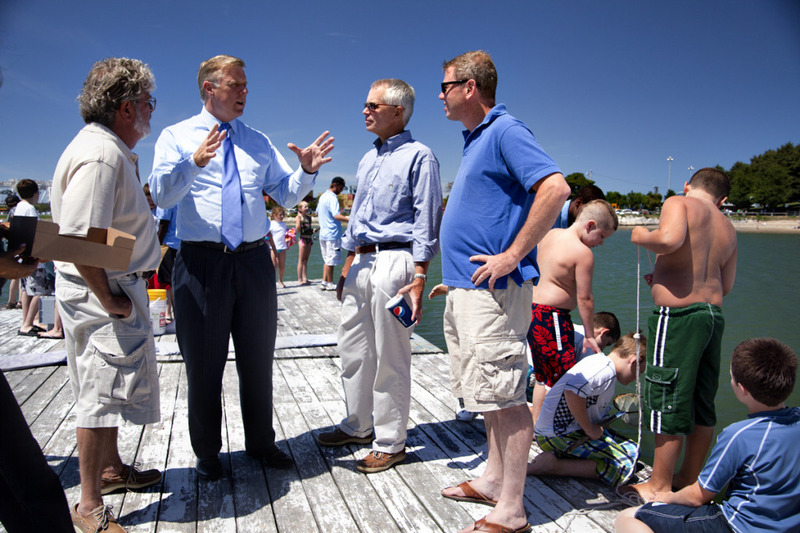 But I also got to listen to what other groups around the Harbor were doing around the Harbor, regardless of whether they were focusing on children, teens, families, conservation, public education, youth development, or recreation. 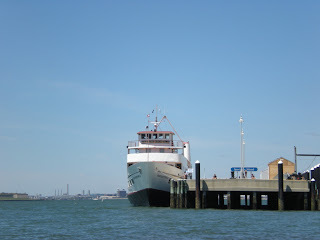 And it was fantastic to see so many familiar faces on Thompson Island the next day. 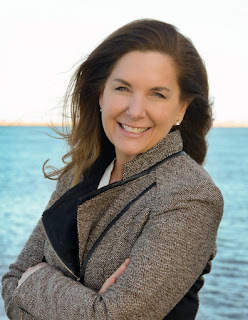 As Arthur Pearson, CEO of Thompson Island Outward Bound, said to me on the island: it was so great to see the sum of all the work that we're all doing for kids on the Harbor, all in one place. One group is serving 5,000 kids this summer, another is working with 3,000, another will connect 6,000 new people to the water, another group is serving hundreds of local teenagers, etc, etc, etc.... and Save the Harbor will bring 7,000 kids and teens out to the islands and will work with thousands more at our youth environmental education sites and on our region's public beaches this year. All those numbers really add up! I love the work I do, but I'm even MORE excited to see it in an even larger context of so many common goals across these organizations. It was an inspiring day! 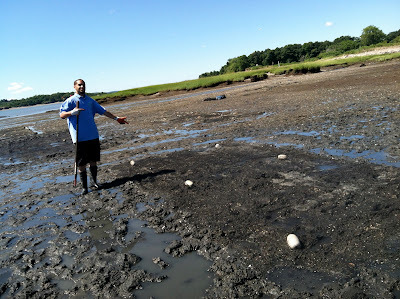 Thank you so much to Thompson Island Outward Bound for hosting us, and to Chris at the Department of Marine Fisheries for showing us the clam-seeding ropes! We can't wait to help again next year! See you out on the islands, everyone! 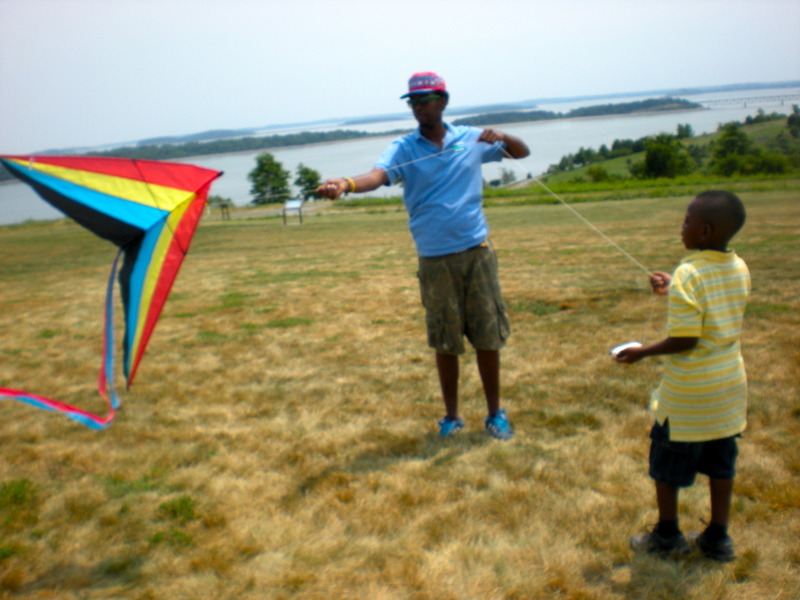 Usually at Spectacle Island swimming and flying kites are points of interest for most people. I chose to go kayaking with my fellow workers Carolyn, Thi, and Andrew the Beast. This was something that I had done before at Community Boating but taken to a new extreme. 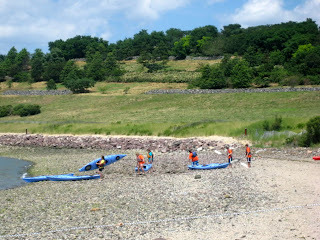 When we went kayaking we went over safety procedures and precautions of to do and what no to do. The kids were all scared to go kayaking because the weather wasn't the best and they were scared. So the staff tried it for the first time. Our instructors Kevin and Dennis were laughing when we got on the water. Beast and I flipped more than twice there were many problems such as bugs, water in the kayak and waves. I flipped battling waves and was forced to swim back to shore. Thi and I were the only two who were devastated when we saw Beetles, and other insects on us. I freak when there is something on me and I can't see it but I can feel it. These were some of the things that caused me to tilt and lose my center of gravity. The kids that went the day before explained to me some of the things that we should do and I didn't comply to what they were telling me and the worse happened. It was a blast and something that was really fun. Kevin the instructor asked for some of us to go back out with him again next time with a group of kids which I am looking forward too. On Monday we had a new group of kids. There was one kid who felt lonely because he the was the only one from the old group and didn’t wanted to talk to the new kids, so I came up with a game so everyone could meet him. The game is called HELLO SHANE - the last person to say hello to Shane loses. It was a quick way for him to meet the new kids. Therefore, Shane felt happy and the day went great for the kids and myself. We spent time with the Rozalia Project, picking trash up off the bottom of the Harbor so that the ocean can be clean. They also explained how long it takes for bottles to disintegrate into pieces in the ocean and how some fish might eat them. 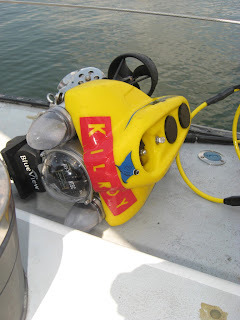 Someone from our staff drove an under water robot and there was so much trash that the robot’s claws broke. Later in the day, we took a group of kids fishing and they were all exhausted except for this kid named Tim who caught a sunfish. As I was trying to un-hook it, it pooped on my fingers. The next day, Tim caught another sunfish and the fish laid eggs on my hand. What a weird weekend. Anne and I witnessed the birth of some sunfish, it was a very exciting moment and it made my day. ON Friday afternoon, Thanks to Ali, the YMCA kids were organized to each activity we planned. My group caught a small lobster and we named it flapee, because it wouldn’t stop flapping. At the Courageous Sailing Center, we caught another lobster but this one was about 10 pounds and it had huge claws that I’ve never seen before. This was the most exciting day of my week because I took the big lobster home and my mom made a lobster salad. It was good. A lot of meat out of it for a 10 pound lobster! I had a great weekend and hope to have the same week for the rest of the summer. The Boston children's museum is a very interesting site. We work with younger children so we usually have to explain to them what to do, but today I met some interesting children. I met an eight year old child who knew everything that I knew. It was cool because when explaining to a child what makes a green crab a green crab we usually do not use words they can't understand. We explain that the sharp parts on the upper torso spell out "Green" because of the five spikes. One of the children knew that the "spikes" were actually called Marginal Teeth. I also explained to the child the difference between a male and female crab. The triangle on the torso of the crab for a male is narrow and for a female its wide. It is wide because it carries eggs. The child knew all the things I was talking about. Last week on All Access, I finally started swimming on Spectacle Island. This isn't something I usually do but I tried it and David was surely right. Returning children such as kids from the East Boston YMCA usually ask me to go to the top of the island with them to fly kites and play with them, but they were upset when I told them I was going to swim. When they saw me swim one of my friends from the YMCA David asked his mentor to come in the water with me. This showed me a new part of my job which was that I could teach the kids about sea glass and then swim with them. As soon as we started swimming David got the rest of his friends to come in the water and we all had a blast. 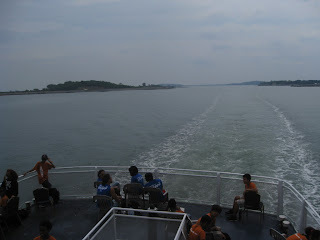 As the ferry docked waves coasted to the shore really fast. Waves are a lot of fun but also very painful. We told the kids to get out the water cause if you don't clash with the waves you're going to get hurt. Something I learned the hard way. Kids from the East Boston YMCA really enjoyed the company of my fellow worker Beast and I. 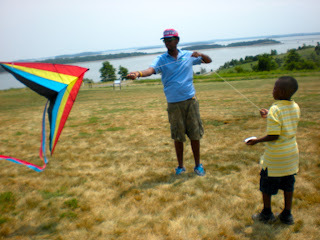 The days before we flew kites and it was a pleasure helping the kids experience new ways to have fun on the island. My name is Delilah Burgos. I currently attend Brighton High school during the school year.This fall I will be a junior. I can not wait until I graduate. I look forward to going to college and when I do, my plans and goals are to become an anesthesiologist. Aside from that my summer goals were to get a job, which I have accomplished. My first day at Save The Harbor Save The Bay was better than I could have imagined. I met many people and got to go on a boat which I haven't done since I was ten, so that was great. Not only did I ride a boat but I walked along the beach and collected different colored rocks, old glass, and saw marbles. It was interesting like a mini museum. But what I can honestly say is I loved my second day here. I went fishing with the kids and set up crab traps, eel traps, and lobster traps. while sailing a boat. The kids had so much fun and we interacted in everything. Another goal of mine was to have kids not to be afraid to talk to me if they are shy or just need help. My second day that was accomplished. Kids were asking for help, wanting me to fish with them, showing me things in the lake etc. 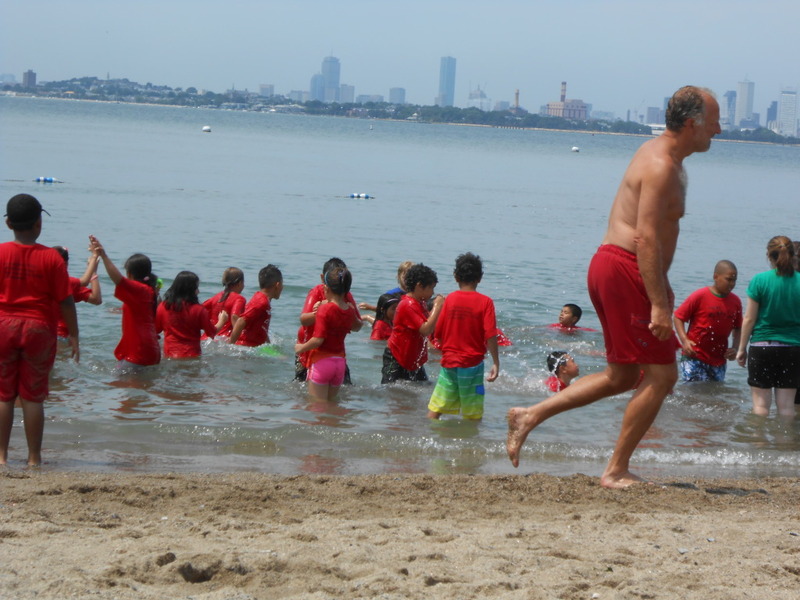 I wanted this job because I really do enjoy kids and seeing them have a fun summer and what is a better way than Save The Harbor. 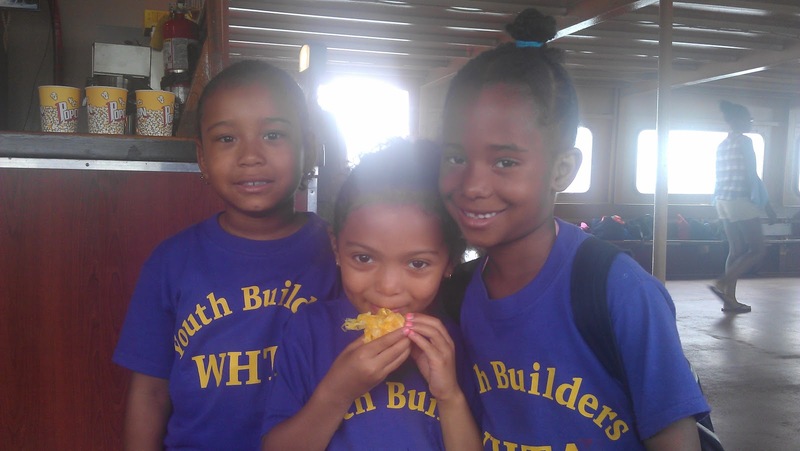 A program that makes these fun things happen for children in many ways while learning too. Besides all this fun I am very excited and thankful to work here and be apart of the Harbor. What another great week at Bostons Children's Museum and Community Boating. 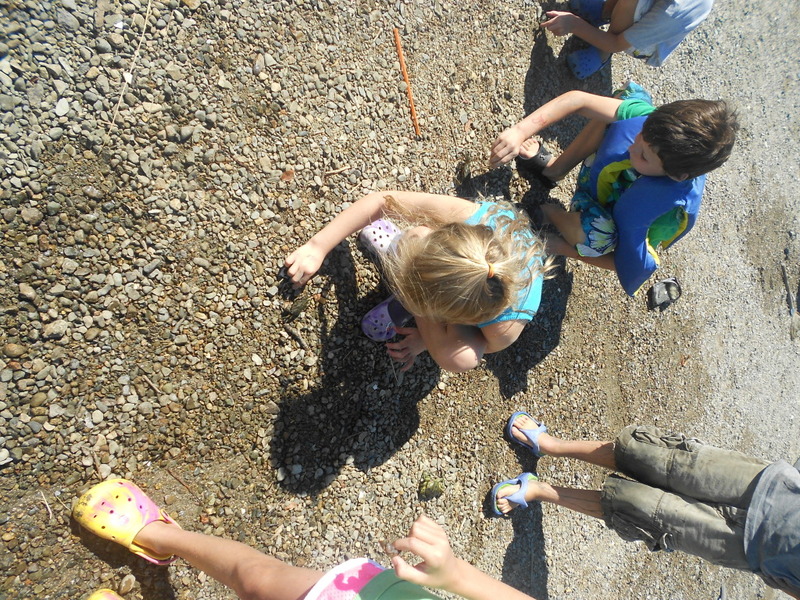 This week kids were more brave with touching and holding the crabs. We had one kid who came for the whole week. He wouldn't hold the crab but he was very happy and excited to touch and learn about it. 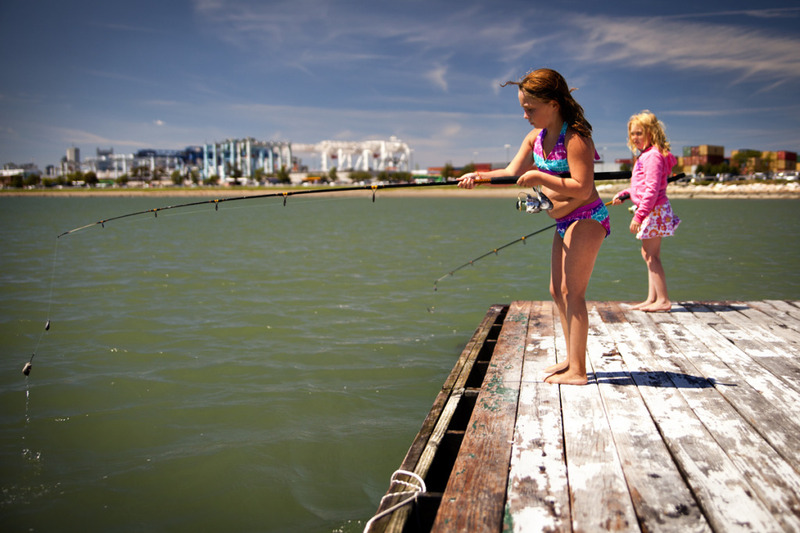 Also fishing at community boating was a hit. Two of the kids went fishing for their first time and one caught a sunfish. Back at the Museum not many kids caught fish but they did pull up the crab trap and see how the crabs were being caught right there. Also, while trying to fish for a fish or something greater at the museum, the fishing rod flew into the water with a tough tug as if a sea monster was in there. From then on the museum will always be a mystery fishing spot. As for next week I cant wait to see what's next! 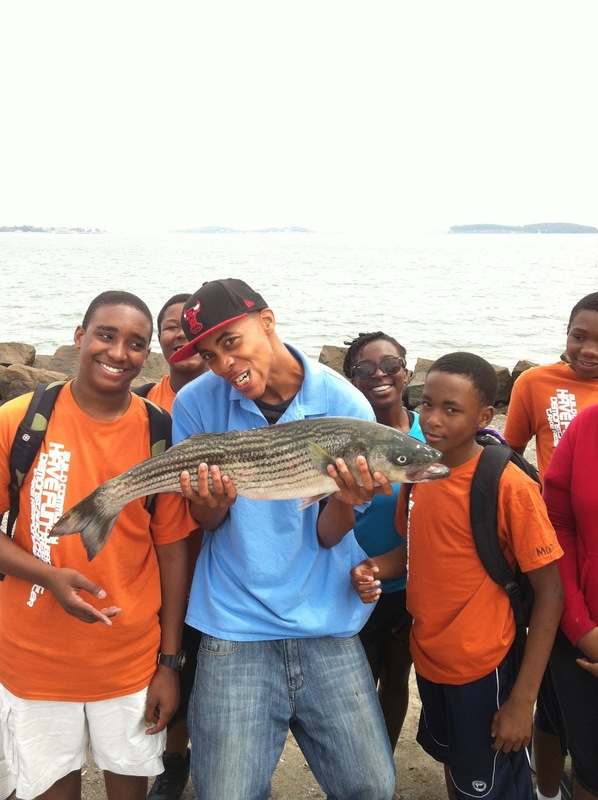 This past week Save the Harbor Save the bay took a lot of groups each day (except Monday) to Spectacle island to learn and explore. 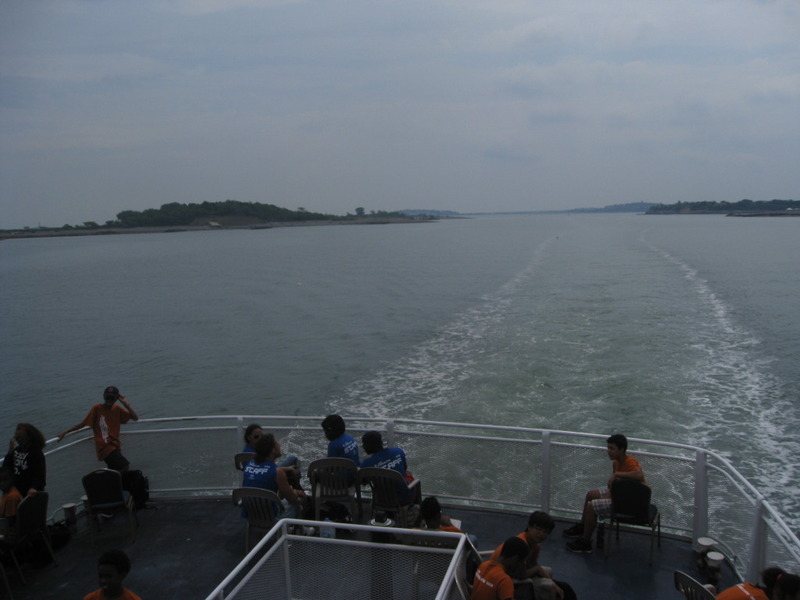 It is also a really fun island that gives me and the kids a good experience while learning about the island. A great guy named David along with his workers (us) teach you and help you have fun, you the kids. 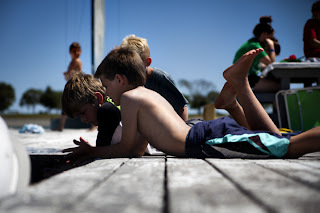 When we went to the island this week we went swimming and it was so hot that I jumped right in with the kids and was playing with them, throwing them around, splashing them, and just having the times of our lives in the Harbor water. The water is really fun when the big waves wash up on us while we are in the water. Everyone loves it, especially the kids. While all this was happening I was teaching a little girl how to swim, I forgot her name, but she was having the time of her life. She was so happy and smiling. She wanted me to do it again and again. She was 5 years old. It made me smile just to see the kids have a good time while they were on Spectacle. Wednesday at the Harry McDonough Sailing Center was an amazing day for the EPA and Senator Jack Hart to visit our site. 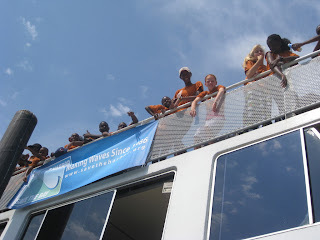 The weather was great and the kids were very eager to teach adults about what they have learned from Save the Harbor. The day started with Ken Kopocis, a staff member of the EPA, Bruce Berman and his class enjoying lunch at Sullivan's. One of my favorite places to eat whenever I'm in the South Boston area or at Castle Island. After lunch everyone came down to the docks to join the Save the Harbor staff that was there working that day. We definitely had many different things show and tell everyone about. There was a total of four lobsters in the crate to begin the day and another one was caught in the trap. 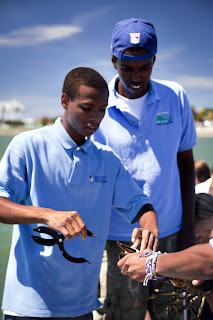 Mary, Ahmed and Leon went out on the boat to the lobster trap to bring back the one lobster that was in it. Before being placed in the floating crate the lobster's claws were banded. The kids at the Sailing Center caught all the crabs that were in the touch tank using crab traps. One girl even caught a crab with a fishing rod. The kids showed their knowledge of crabs and lobsters to Ken Kopocis, Jack Hart and the class from BU. 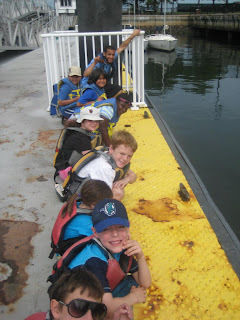 We were all impressed with how much each kid remembered and knew about the marine life that they captured. It was great day to be shared with everyone who was at the Harry McDonough Sailing Center that day. I feel as though everyone learned and saw something new that were probably not expecting. The kids were awesome when they explained and answered questions about the marine life in the Boston Harbor. 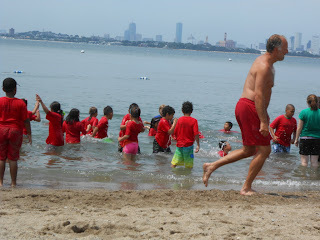 Definitely made me proud to know that the kids really enjoy what Save the Harbor offers for the kids in the Boston Area. I can't wait to see and hear about the experiences to come within the next few weeks. <-- This group of girls were like my little sisters. Its like when we met things just clicked. They were asking questions based on what they saw, the history of Spectacle Island, and asking questions like how i became an employee of Save the Harbor/Save the Bay. They were so interested in being represented by me that when we got on the Island all they wanted to do was be around me. When we went searching for sea glass they were excited to find different colors of glass in all different shapes and sizes. Although these girls were from the same program they were separate. These girls were the light of my day considering the fact that they were so interested which made me more interested to teach them. Even though this was a great day we still had time to save a star fish. 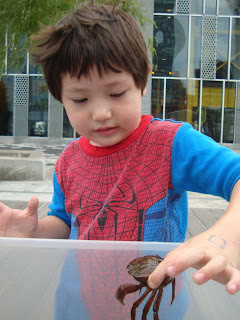 Juan Pablo, a 7 year old smart boy, brought an awesome star fish to my attention. He mentioned to me that the star fish looked very sad and I asked him "why? ", he said the star fish and other sea creatures in the sea are sad all because of the trash in the water. This conversation lasted about 5-7 minutes long... it was very interesting and it was cool to recognize that such a young boy realizes that there are concerns in the ocean right now. So, Juan Pablo asked me if it was okay to look up research for him so I did. The star fish is the most amazing creature. These spiny, five rayed creatures are one example of a very unusual group of marine animals with a life story that is different from that of anything else in the animal kingdom. Sea stars can be many colors like red, orange, pink, yellow, white, blue, green, tan, brown, gray, black, and purple. The starfish’s long arms can be from 10 to 25 inches long. Most spiny-skinned animals have no eyes but amazingly starfish have a small red eye spot in the middle. They can see light and dark. The starfish can live all over the world. If you are looking for a starfish they are usually in rocky places. Also sea stars can swim all the way down to the bottom of the sea or they can relax and float on the top. The Ochre sea star can live any where from Alaska to California. The Ochre sea star can also climb up to the top of a wall and stay there for more then 5 hours. Most sea stars live in small groups or alone. There is a sea star called Crown-of-Thorns and they live in coral reefs. This is my favorite sea creature. It is so amazing and I enjoyed my time learning about the starfish with the kids. The lobsters were a perfect size to bring home. Perfectly 5 inches and the kids were excited to bring them home and a couple did. On late Tuesday morning, at Piers Park Sailing Center, me and the staff and the kids discovered that this crab in this picture was a "green crab." 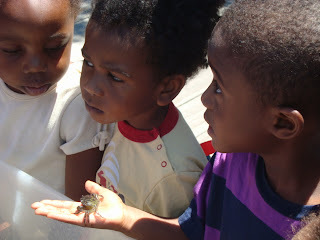 I taught kids about green crabs and red rock crabs and how to tell the difference. As the day was going we found out that two green crabs we learned about earlier were trying to mate. Female crabs before they mate , there shell gets soft so they can fertalize the eggs and keeps them in there abdomen until birth. The kids were asking me different types of questions. One of the questions was "how is it the animals are suppose to get together?" It was an awkward moment for me. I explained to them that it was the cycle of life and that different sea creatures have all shapes and sizes and colors as well. It was a beautiful day especially being around kids that love to learn about different things. On this same day we let the kids explore more. 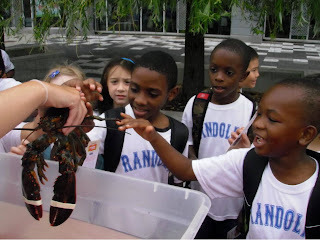 The girl in the picture "Alex" was excited to hold her first lobster and so were the other kids! Even though it was a muggy day it was still exciting for me and the kids and it still brightens my day to be around amazing kids. 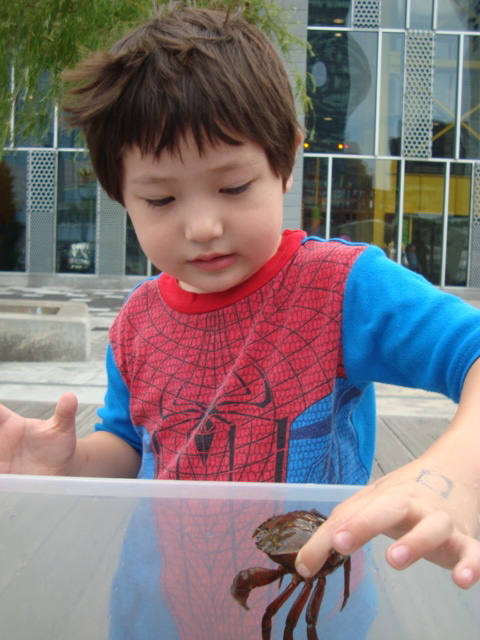 At the Boston Children's Museum, Save the Harbor's biggest attraction is the crabs that we catch and put in our touch tank. While several of the kids who visit our tank are familiar with crabs, several are not aware of the many cool facts about them. For instance, asking the kids whether or not they think legs and claws can grow back always results in wide eyes when you surprise them and say, "Actually ... crabs CAN re-grow their limbs!" Another fact that throws kids off is that not all green crabs are green. In fact, many of them are a dark reddish-orange color. Fortunately, by the time the crab discussion ends, kids walk away from it being able to at least tell how to identify a green crab, and how to tell whether a crab is male or female. Today, our touch tank had two special guests. The first creature was spotted laying on the dock at the Museum. Although it was not alive, the Asteriid Sea Star we found was a hit with the kids in our tank. 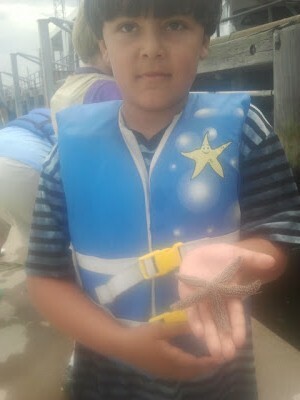 In the biggest group of visitors, almost every kid wanted a turn holding the sea star as they were fascinated by its rough skin and purple coloring. 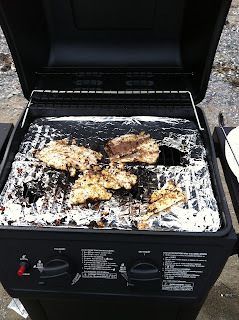 The second guest came courtesy of Bruce, a nice cooked blue crab. Again, the kids did not seem to mind that our friend was no longer alive. In fact, they were fascinated by this new crab, and we even had a couple of the young girls remove the crab's legs so that they could check out what it looked like inside. 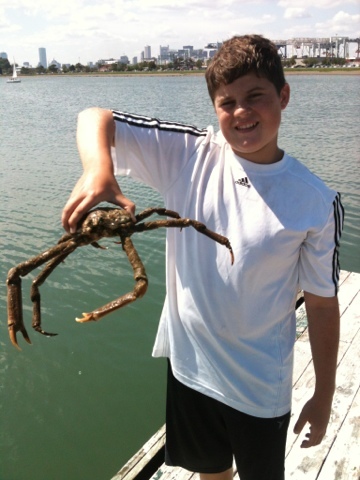 On top of all of this excitement, we also pulled up 33 green crabs and one spider crab for the day. Hopefully in the days to come, the kids are able to explore ever-changing creatures with us!